Dec 2010 and Jan 2011 were hectic due to organizing activities and participation in three trade stall activities viz., ASICON 2010, Delhi; AICOG 2011, Hyderabad and PEDICON 2011, Jaipur. The three events were for surgeons, obstetricians and gynaecologists, and paediatricians respectively. The events were as usual, well organized, with ASICON and AICOG setting new benchmarks of organization. Pedicon was at a very artistically attractive venue. Doctors too were very enthusiastic and the indication is that doctors are getting very professional particularly because there is a lot of competition between doctors unlike in the 80s or 90s and earlier, where doctors enjoyed monopoly markets. Today, corporate hospitals too are competing to offer medical services. During my journey back to Bangalore from Jaipur (post Pedicon 2011) I had an interesting conversation with Dr. Deepak, Paediatrician. This young and feisty doctor practices in a rural setting. He has a high achievement orientation and ever hungry for knowledge. What is interesting is his adaptability to usage of IT concepts and gadgets in his practice. Conversationally he said that his talk at PEDICON, Jaipur was on use of smartphones and gadgets to become a SMART PAEDIATRICIAN! Imagine this talk is not from a person of a tech savvy city like Bangalore, but from a paediatrician of a rural place ie., Tarikere (Shimoga district). This place is a town in Shimoga dist. Dr. Deepak has a 120 bed hospital here and a well established practice. His office practice is IT enabled. All patients have a no. and this helps access their EMR (Electronic Medical Record). In fact, he provides Rx to his patients only through e-mail and as printout from his computer printer. He has a smartphone and uses the same to be the SMART PAEDIATRICIAN that he espouses. Today, it is impossible to function without electronic gadgets. Unfortunately, we at pharma (barring the big pharma companies) are yet to lap use of gadgets with aplomb. Gadgets bring in transparency, maintain records of transactions, and increase efficiency and effectiveness significantly. 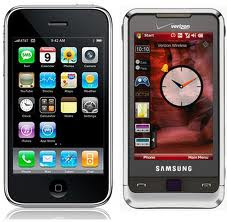 Gadgets can help deliver information of value instantly to strengthen marketing communication. Gadgets can help in branding with a hi-tech and hi-touch concept. Gadgets can boost MR performance during in-clinic and in-chemist activity. 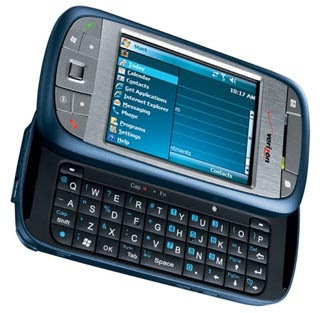 For eg., a palmtop can track goods available at a chemist store, distributor premises and instantly provide the information to the company server at another location. The most interesting gadget in modern day marketing is the Tablet PC - portable and packed with info it can be used as a communication tool. 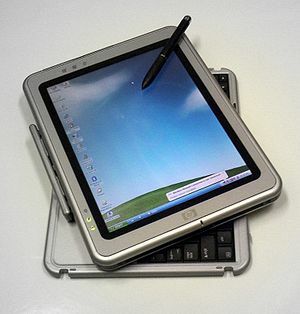 Above is a pix of the tablet PC. Many things in life have a ripple impact. There is no directly visible cause and effect phenomenon. For eg., a scientific product newsletter seems to be a simple activity. However, when it is distributed in the market among target doctors, there is a buzz created that enhances consumption of products. These gadgets too will have such an impact. In the coming days, conformity pressure, sales pressures from gadget manufacturers, need for trendy marketing communication devices in the market and an environment with rich use of gadgets - all this will lead to increased "GADGETIZATION" in society. 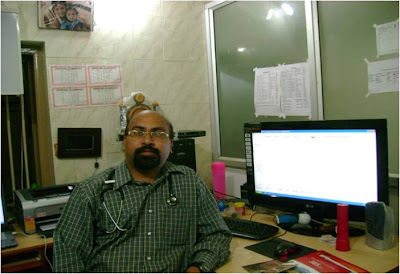 In fact, in PRACTICAL PEDIATRICS UPDATE 2011 organized by a leader paediatric website, ie., pediatriconcall.com a session is being devoted to smartphones and gadgets for pediatric practice. To make gadgets a part of one's professional life, adaptability is required. Gadgets are becoming a necessity today. Thanks, get Gadget Savvy, scroll down to read all other blogposts, and click on older posts for reading other posts. This is a great post! Its good to know that doctors are getting much more tech-savvy than we think they are. To my mind, one of the reasons that pharma hasn't picked up tech is because we think our customers (drs) don't use it much. While one swallow doesn't make a summer, its heartening to know there is increasing acceptance. This leads me to a thought. With drying pipelines and patent cliffs for MNCs, building strong propositions on the basis of product portfolios may cease to happen. If so, doesn't it make more sense for pharma to build applications and leverage tech more proactively for customers? If not for anything else, at least to brickwall entry of non-traditional competitors. IMHO, the likes of Nokia, Apple, Pepsi, Nike (any company that's actively building customer attraction around the HEALTH platform) is a non-traditional competitor to pharma. Would love to hear your thoughts on this! Sure, just as many software programs were picked up by doctors due to freebies from companies, 'gadgetization' will roll on. b) conformity pressure among doctors: there are, as we see, sessions in PEDICON and other conclaves dedicated to gadget usage. Just like medical devices, other telecom and IT related gadgets are going to pick up, since they help doctors deliver sophisticated and impressive service to patients. It is competition between doctors and between medical institutions and doctors that is making the tech usage happen. If it were not for competition (ie., among doctors) things will be as the same old style!